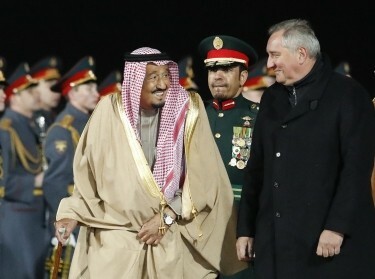 >Could America Use Its Leverage to Alter the Saudis' Behavior? To many, the United States appears beholden to the kingdom. In actuality, Riyadh needs Washington more than Washington needs Riyadh, and the missteps in Saudi decisionmaking have caused significant damage to the kingdom's reputation, reinforcing its dependence on America. The United States has an opportunity to exert its influence to shape Saudi behavior, perhaps more than ever before. Yet, despite the Saudi reliance on the United States in key areas pertaining to political and military affairs, America has been reluctant to press the Kingdom's decisionmakers to change their behavior. Domestically, many have long questioned whether the breadth and depth of the ties between the two countries serve U.S. interests, and the relationship has long been a point of contention in American foreign policy circles. 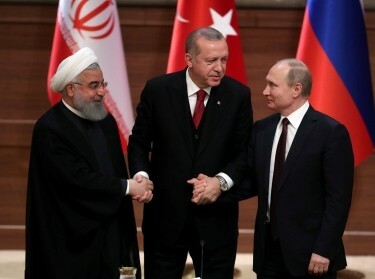 Although the United States plays a disproportionate role in the Middle Eastern nation's security, it doesn't always use this to enforce its values and interests, or see this as a point of leverage. Recent developments heightened long-simmering tensions between Riyadh and Washington. Criticism of the Kingdom's foreign policy has become more pronounced since the beginning of the war in Yemen in 2015 and the Gulf crisis two years later that pit Saudi Arabia and its allies against Qatar. While there is seemingly a push to “punish” Riyadh by imposing sanctions and halting support for the Yemen war, there does not appear to be a fundamental shift taking place in U.S. policy. While the administration is taking some steps to placate critics and Riyadh is reportedly holding officials accountable for Khashoggi's murder inside the Saudi consulate, history suggests that this is unlikely to lead to a significant departure from the status quo. The Trump administration could consider using its influence to encourage Saudi leadership to moderate its assertive and damaging policies abroad. Since Crown Prince Mohammed consolidated power, however, divergent Saudi and U.S. interests and worldviews have come to the forefront. Initially, many Americans praised the prince as a reformer, bringing the kingdom into the 21st century. But it soon became clear that the reforms were more limited than many had hoped and that the efforts were taking place against the backdrop of problematic policies at home and abroad. Several developments have garnered more scrutiny of Saudi policies: The manner in which the prince has silenced those he views as his opponents—including Khashoggi—coupled with international incidents, chiefly the ongoing devastating Saudi-led efforts in the war in Yemen, creating the world's worst humanitarian crisis, and the internecine rift among the Arab Gulf states. Both the Obama and Trump administrations watched as the kingdom's policies became more assertive, leading to the widely held assumption that America can't change the Saudi calculus. But this is far from the truth. As the Saudis' chief political and military partner and the undisputed security guarantor in the Middle East, the United States has considerable influence it can wield over Saudi decisionmaking. It has thus far gone virtually unused. In reality, the United States may have more leverage over Saudi Arabia today than at any other time except during the 1991 Gulf War. Trump's ascension to the U.S. presidency helped alleviate some of Saudi Arabia's concerns that stemmed from President Obama's Middle East policies and, consequently, afforded the United States more influence over the kingdom. The Saudis had grown distrustful of U.S. commitment to the region due to President Obama's plans to pivot to Asia and his administration's response to the Arab Spring and pursuit of a nuclear deal with Tehran. But President Trump made Riyadh the destination of his first foreign trip in office and pledged to support the kingdom while harshly criticizing its archenemy, Iran, and withdrawing from the nuclear deal this past May. At the same time, Saudi Arabia has become more reliant on the United States than when President Obama was in office. Riyadh's contentious policies—like the war in Yemen and the rift with its neighbors—have constrained its options and inadvertently reinforced Saudi Arabia's need for U.S. military and political support, including security cooperation and intelligence sharing. Prince Mohammed's legacy and perhaps even power is presently tied to two initiatives: The Yemen war and Vision 2030—an ambitious program of social and economic reforms that Riyadh plans to institute to diversify its economy. Neither objective is apparently proceeding as the crown prince had hoped. And to succeed, they will likely require continued U.S. support. Until recently, President Trump was not inclined to use these developments as leverage. Instead, he stood by the crown prince even as U.S. military support to Saudi forces in Yemen—including aerial refueling and advising on intelligence sharing and targeting procedures—have come under attack in Congress and by international rights groups. Some have argued that the administration has emboldened Riyadh, giving it carte blanche to pursue its more assertive policies. New details pertaining to Khashoggi's murder have emerged, ostensibly tying the young Saudi monarch to the incident and leading to mounting congressional pressure. But the Trump administration has been willing to give the Saudis only a mere slap on the wrist without fundamentally altering the dynamics of the U.S.-Saudi relationship. The Trump administration is unlikely to end its support for Saudi regional efforts or radically change its approach. But it could consider using its influence to encourage the Saudi leadership to moderate its assertive and damaging policies abroad. 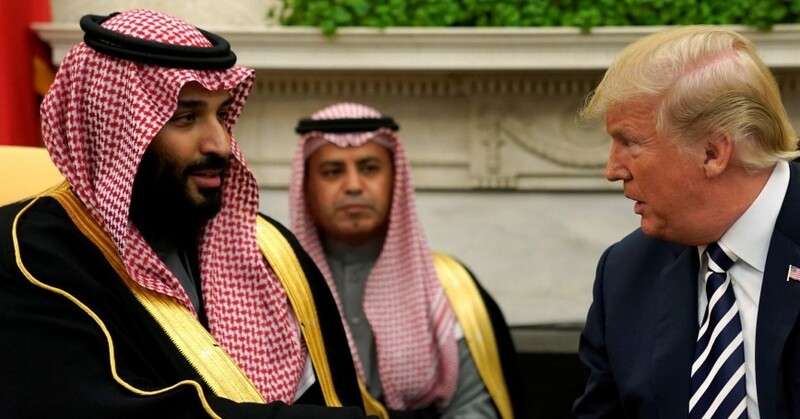 Rather than providing its assistance freely to Saudi Arabia, Washington could utilize it to extract concessions from the Saudi leadership to alter its behavior. 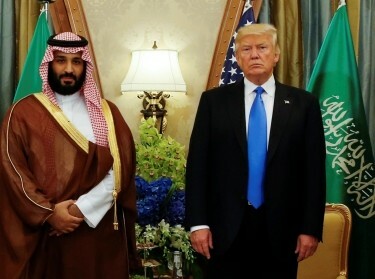 Making U.S. support conditional to initiatives tied to Prince Mohammed's success provides Washington with a degree of sway over the brash monarch, who increasingly needs to produce a “win” in light of the reputational harm the Khashoggi affair has done to the kingdom, his legacy and perhaps even his hold on power. This approach is not without risk—the Saudi government could, for example, reduce intelligence sharing, or switch off the proverbial oil tap, like the OPEC states did in 1973. But 2018 is not 1973, and the United States is no longer as reliant on Saudi oil. More so, the Saudi government's assertive actions also pose operational and reputational risks to important U.S. interests, as the Khashoggi affair demonstrated, and therefore the benefits of this approach are likely to outweigh any costs Riyadh may seek to impose. On the surface, making U.S. support provisory may appear to be an unpalatable approach, one that legitimizes the crown prince. But wielded correctly, the White House can use this leverage to recalibrate the U.S.-Saudi relationship. Blanket support need not be granted in a way that emboldens Saudi behavior, leading to actions that are damaging to U.S. interests. Instead, the administration could consider also making conditional its support for the Saudi government's priority programs with the goal of altering and shaping its behavior. This includes making the Saudis take responsibility for Khashoggi's brutal death, putting an end to indiscriminate targeting practices in Yemen, altering the government's harsh response to opposition inside and outside of the Kingdom, and ending the rift with Qatar. This commentary originally appeared on Newsweek on November 15, 2018. Commentary gives RAND researchers a platform to convey insights based on their professional expertise and often on their peer-reviewed research and analysis.